Good’s Garden Sheds began manufacturing portable storage buildings in February 2007 and, as a family-owned business, seeks to honor God with excellent, honest service to others. 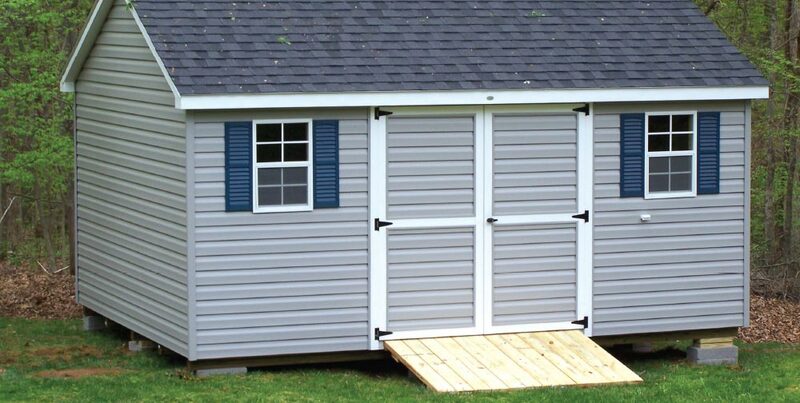 Good’s offers vinyl, painted or metal-sided sheds with options to customize. Good’s not only manufactures the buildings, but also provides delivery and installation to ensure the highest level of integrity for the entire project. Their building designs and pier support systems have been reviewed and approved by Master Engineers & Designers of Lynchburg. You can order a shed from Good’s though their online store, or stop by and browse their organized sales lot on Route 29 in Rustburg. They manufacture the sheds in Gladys.